we looked at a report of a number of birds taken by hunters earlier that month in and around Ubsu-Nur Lake that had tested positive for HPAI H5. While the HPAI H5 clade was identified (Asian HPAI virus H5 lineage A/Guangdong/1/96, clade 2.3.4.4), the full subtype was not. Clade 2.3.4.4 is commonly found in avian H5N1, H5N8, H5N2 and H5N6. Both H5N1 and H5N8 have previously been reported from Russia. A total of 17 birds tested positive according to that report. Eleven days later we saw the UK's DEFRA Outbreak Assessment: HPAI H5 In Wild Birds - Russia - and while the subtype was still unspecified - they cautioned that migratory birds spending the summer in Russia could arrive in the UK, and Western Europe, as early as September. Fast forward to this week, and the FAO has published a detailed report on the HPAI H5 findings in Russia, and the subtype is identified as H5N8. H5N8 highly pathogenic avian influenza (HPAI) of clade 2.3.4.4 detected through surveillance of wild migratory birds in the Tyva Republic, the Russian Federation – potential for international spread. EMPRES Watch Vol. 35, September 2016. Rome. It's a lengthy and detailed report, and last night Lisa Schnirring of CIDRAP NEWS summarized it nicely in Russian waterfowl finding prompts FAO warning about H5N8 spread. A brief snippet, but you'll want to read it in its entirety. Four earlier detections of the Goose/Guangdong/96 H5 lineage at the lake involved H5N1, and die-offs noticed during those events typically occurred in May and June during waterfowl breeding season. Except for one occasion, the outbreaks were followed by detections in countries such as Bangladesh, Nepal, Bulgaria, and Romania. Movement of the virus in the flyway in 2005 was linked to the first Asian-origin H5N1 detections in Europe, the Middle East, and Africa. Given the risk of the pattern repeating itself, the FAO said countries that border the Caspian and Black seas and also possibly Western Europe be on high alert for the virus in wild birds and poultry from September to December onwards. It urged countries to intensify passive surveillance and to raise awareness about the importance of reporting sick and dead birds, both poultry and wild species, and called for farmers to enhance biosecurity measures. After a damaging foray into North America and Western Europe during the winter/spring of 2014-15, HPAI H5 failed to return last fall and winter. Exactly why is unknown, but last year's good luck isn't guaranteed to hold again this year. In addition to practicing good biosecurity, all bird owners should prevent contact between their birds and wild birds and report sick birds or unusual bird deaths to State/Federal officials, either through their state veterinarian or through USDA’s toll-free number at 1-866-536-7593. Additional information on biosecurity for backyard flocks can be found at http://healthybirds.aphis.usda.gov. Although there are two annual migrations (spring and fall) to worry about, a recent report (see Sci Repts. : Southward Autumn Migration Of Waterfowl Facilitates Transmission Of HPAI H5N1) pegs the fall migration as the biggest risk for the spread of HPAI by migratory birds. 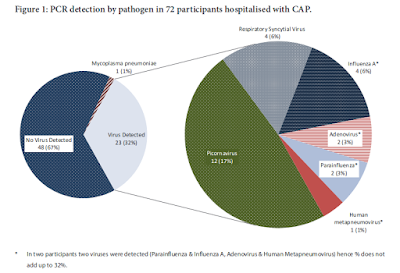 The surveillance conducted at Lake Ubsu-Nur and the prompt reporting by the Russian Federation, providing information on the subtype and clade of the virus, are highly valuable for early warning and outbreak preparedness purposes. Countries and places in Central Asia, the Caucasus, the Middle East, Europe and West Africa – especially those that have experienced outbreaks in 2005/06, 2009/10 and/or 2014/15 (as shown in Maps 2, 3 and 4) – should be on alert over the next 6 to 12 months, as westward and southern spread of the H5N8 virus is likely. If the virus enters Egypt or West Africa, where H5N1 HPAI viruses are already present or even entrenched in poultry populations it would further complicate disease control. South Asia may also be at risk of incursion of this H5N8 HPAI clade 2.3.4.4 virus, potentially arriving there with fall migration in 2016. Based on past experience, this virus could also arrive in the Republic of Korea and Japan within the next 18 months. Clade 2.3.4.4 virus is already circulating widely in China.